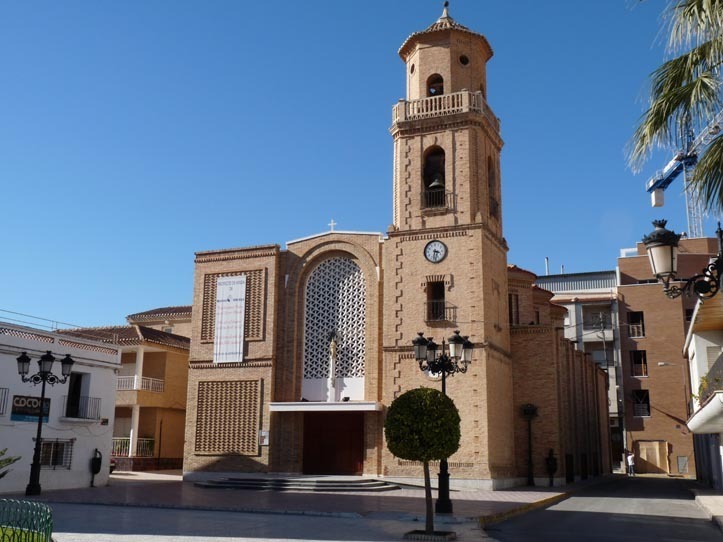 Pilar de la Horadada is located 3km inland from the beach at El Mojon. The resort is approximately 25 minutes drive to the north of Murcia San Javier airport and approximately one hours drive to the south of Alicante airport. Pilar de la Horadada is ideally located close to the safe sandy beaches of the Mar Menor. The region is largely agricultural; surrounded by market gardens, orchards, citrus groves and pastoral farms. The town is close to a coastline of fine sand and clear water beaches, interspersed by attractive inlets, all offering a full range of services. The beach at Mil Palmeras is ideal for sailing enthusiasts, linking up with the Rincón and Puerto inlets; the latter with a promenade that comes alive on hot summer nights. 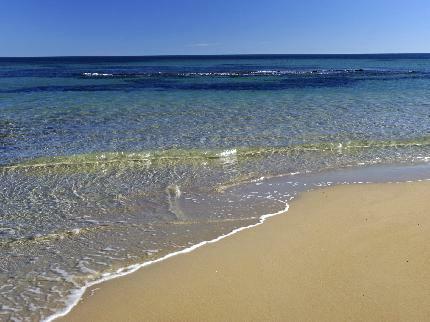 Las Villas, the beach behind Torre Horadada marina, is the longest beach followed by a smaller beach at La Mojón, which reaches the border with Murcia. The river Seco is formed by a network of channels that receive water filtrating off the fields. This peculiar environment is worthy of an excursion, one where you can the fragrant scents of herbs such as rosemary and thyme. The visitor trail begins at El Pinar de Campoverde, where you will find informative panels explaining the flora and fauna of the region, as well as facilities for barbecues. Another attractive tour is the water architecture route. A pleasant stroll discovering old water features such as cisterns and old wells. 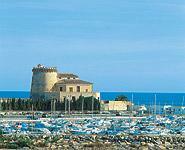 There is a watchtower on the coast, typical of the many that line the Spanish Mediterranean coastline. 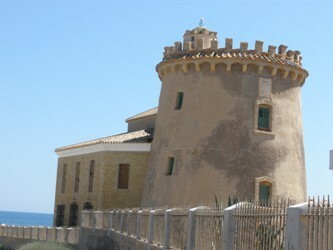 A settlement developed around the tower, which became the summer residence for the inhabitants of Orihuela; Murcia and the Vega Baja del Segura are also both worthwhile day trips. The Archaeological and Ethnological Museum museum has five sections, dedicated to the environment, to fossils, numismatics and ethnology. On display are the most typical flora of the municipality, a collection of metals, assault weaponry, pieces from Iberian textile mills and objects made from esparto and the typical "pilareña" dress. A full range of water sports is available on the coast here. The town has excellent sports facilities for athletics and football and horse riding facilities are available nearby. The centre of Pilar de la Horadada is a shopper’s paradise with many boutiques, pastry shops, banks and gaming salons lining the main Calle Mayor. The "pilareña" gastronomy is similar to that of the rest of the region, where the presence of the sea puts its stamp on many local dishes. Rice is a principal ingredient of the local cuisine, usually boiled in fish stock. The surrounding farms provide the fruits and vegetables of the local cuisine; excellent artichokes, peppers, beans and cauliflower’s, oranges, lemons, figs, peaches and plums, to name but a few. "Arroz con leche" (rice pudding) is a favourite dessert, made with goat’s milk, lemon peel and cinnamon. Sweets such as "cordiales", "toñas", "mantecados" or "rollos de anis" and "milhojas" are also typical of the region, and very popular. After an exhausting morning shopping along the Calle Mayor, why not relax at one of the cafés in the Plaza Iglesia and watch the world go by, enjoying a few “tapas”. There are also many good “Mesones” offering the local cuisine to a very high standard. International restaurants serve favourites from all over Europe and the rest of the world. Pilar de la Horadada enjoys a typical Mediterranean climate, with cool sea breezes in summer and protection by surrounding mountains against the cold North winds in winter. Festivals in honour of the Blessed Virgin: from the 29th September until the 30th October. The Floral Tribute (11 October) is one of the highlights alongside the 12th with the Solemn Mass, the procession and "Las carrozas" (1 week later). Summer festivals: 30 July - Independence from the Orihuela Council (1986).